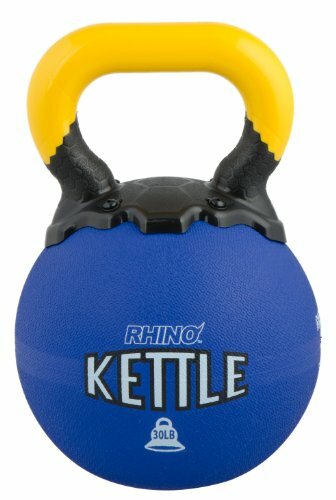 The Champion Sports Rhino Kettle Bell is safe and great for group exercise and training. The smooth molded handle is just like a solid steel handle and the rubber bell will not harm floors. Each kettle bell is the same in diameter. Weight: 30-Pound. Ader Vinyl Kettlebell Set- 5, 8, 10, 12, 15 Lbs Great Gift.